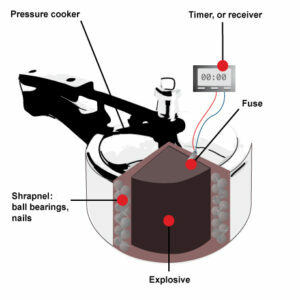 It is not that the pressure cooker bombs used in Boston have North Korean fingerprints on them (although, at this writing, it is unclear whose fingerprints were on those devices). There is another ominous linkage between the massacre in Boston and the current level of rhetoric and predicament that North Korea now finds itself in. Over the past several weeks, Pyongyang had again captured the attention of the global media as the poster child for upcoming nuclear holocaust. Effectively, this media coverage has been a 24/7 infomercial for North Korean arms sales, nuclear technology, as well as the techniques for bullet-proofing a rogue regime or organization against the developed powers. The “on” switch for the Yongbyon reactor was flipped to set up its re-sale (aid) shutdown in the future. Likewise, the “off” switch for the Kaesong Industrial Complex was hit to set-up its eventual re-sale (more aid) upon a future re-start. Both switch flips added immeasurably to the rhetoric, tension, and propaganda value as Pyongyang successfully played the global media at a level that would make a New York public relations firm envious. The entire scenario looks just like a spoiled kid doing the backstroke on the floor of a grocery store right in front of the cashier—having lost the heated argument with his mother over a check-out candy purchase. Then along comes these horrific pressure cooker bombs in Boston and Pyongyang’s infomercial is preempted from its prime time status. If it is media and global attention that Pyongyang wants or needs, mere rhetoric on its part is not going to be enough anymore. North Korea is now forced to actually “do” something if it wants its prime time status restored. Saber-rattling rhetoric is no longer going to cut it. Now, without a “do” (meaning, taking some kind of overt action) Kim Jong Un relegates his country’s entire rhetoric campaign way down on the list of global attention and priorities. The “cry wolf” risk is raising its ugly head. Therein lies the very dangerous link between the Boston massacre and the current situation in North Korea.